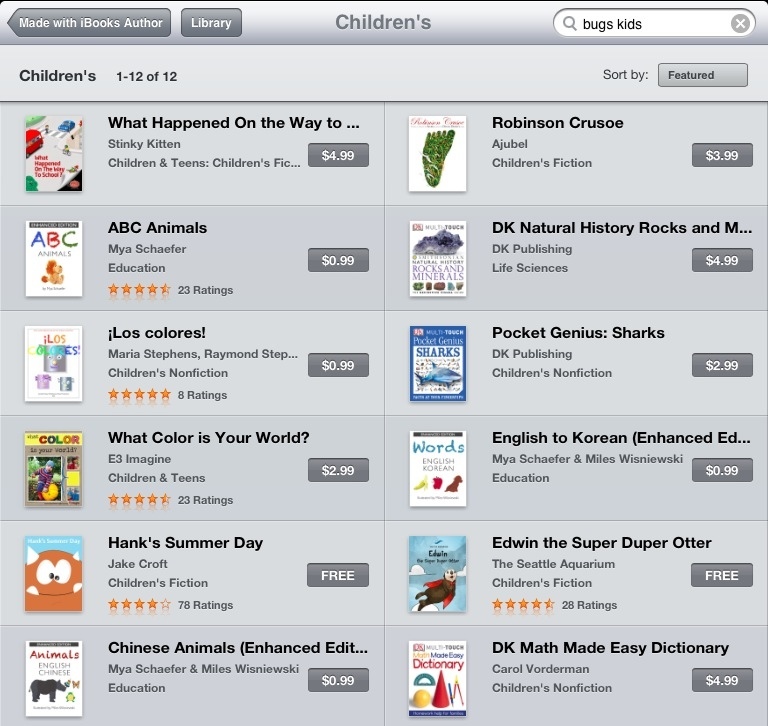 More books created with the iBook author tool are showing up all the time. Unfortunately there is no easy way to tell if a book was made with iBooks Author. 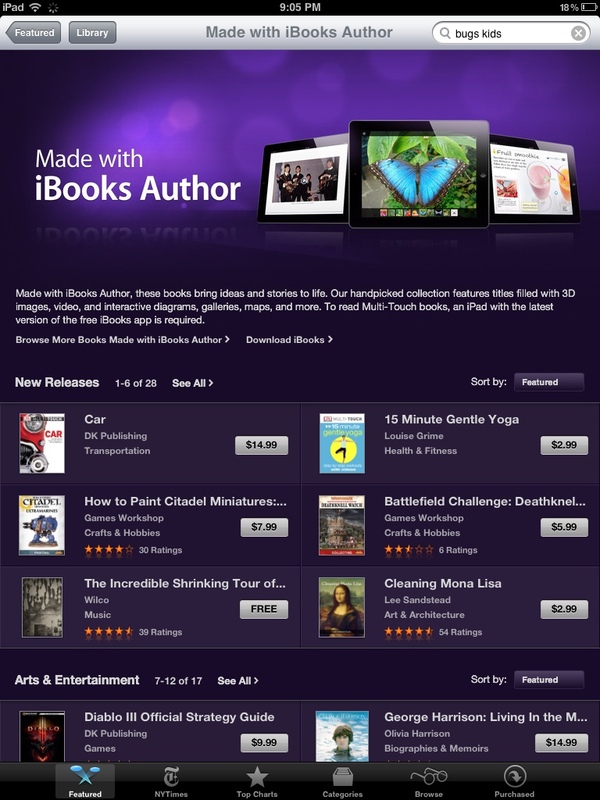 There is a category under the features page that allows you to see featured books “made with iBooks Author” but only a limited number of books show up. On the features page there is a small link in the middle of the page that says “Browse More Books Made with iBooks Author>”. 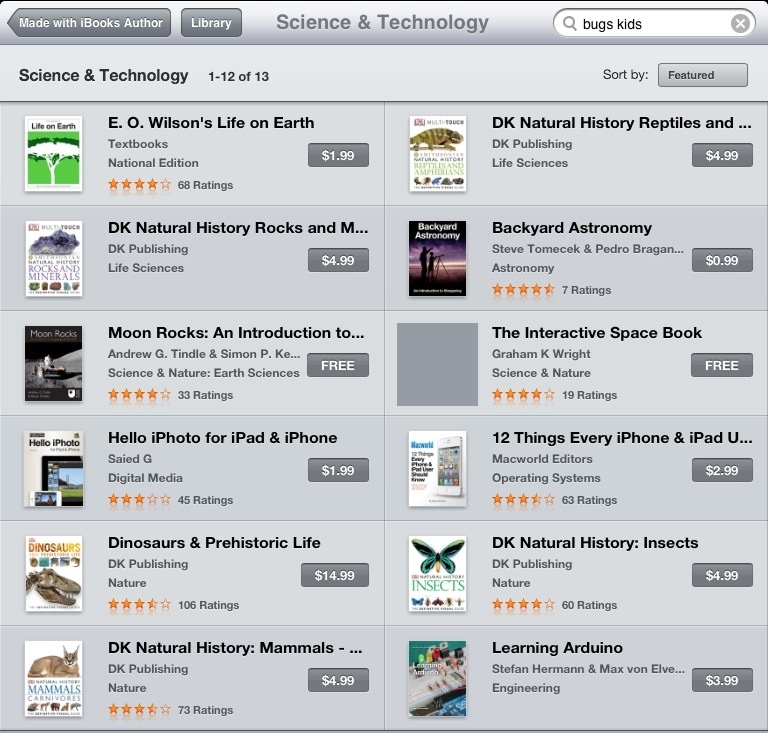 If you click on that then you can see that there are many books made with iBooks author. It seems like there should be a better way to browse and filter by category for books created with the author tool. Maybe with the next update. 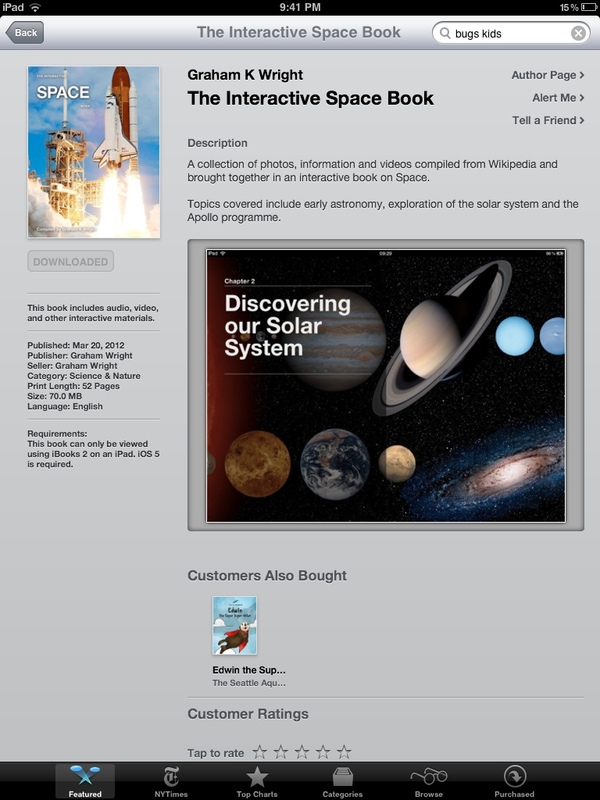 I just happened to come across the excellent free ebook called “The Interactive Space Book” shown below. Surprisingly the book is only 70MB compared with other interactive books with close to a 300MB file size. 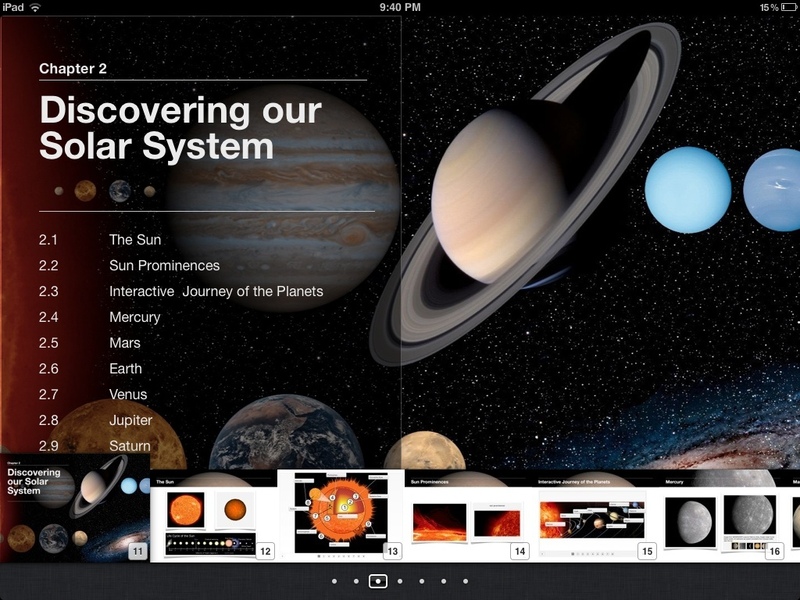 The book has interactive features including a rotating space shuttle. There are also several videos. I hope to see more of this type of books in the future for education.